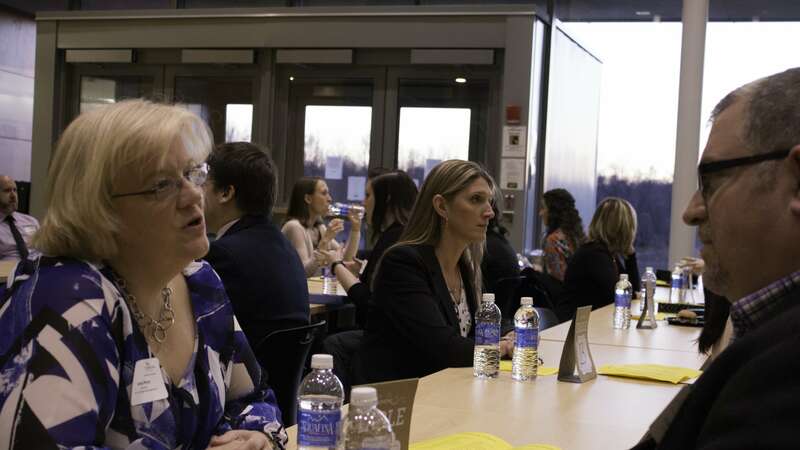 Forty Maryland professionals mentored and answered questions from TU Northeast students Wednesday, March 2, during the campus’ first speed-networking event. After a light dinner and informal conversations with the professionals in attendance, students were given five minutes with each mentor to present themselves, hear any advice the mentors had to give and to ask as many questions as they could. 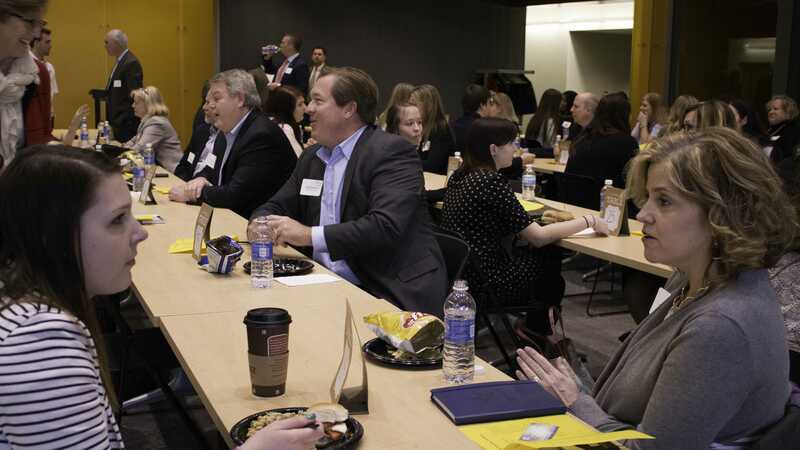 During the networking event, students moved from seat to seat to practice their communication and interviewing skills and learn what they could from professionals representing a wide variety of career fields. Mentors included principals, CEOs, human resources personnel, the head of security for Under Armour and the president of the Harford County Chamber of Commerce.